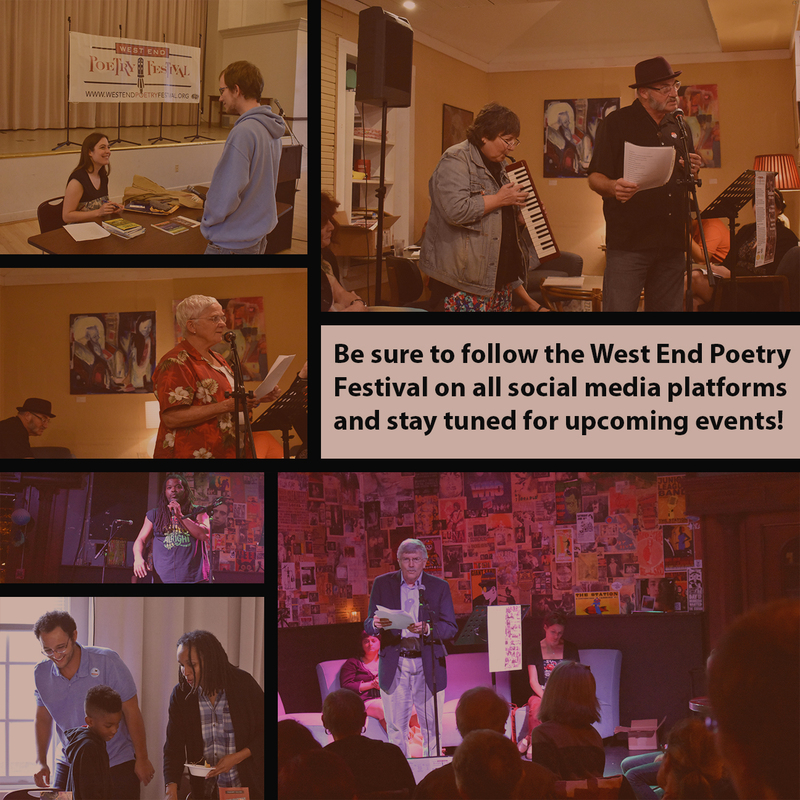 The 2018 West End Poetry Festival took place on October 17- 20, 2018. The celebrations brought together poets of different styles, ages, races, ethnicities, and stages of development to share poems and their love of poetry. Click below to take a look at the 2018 schedule and poets who made it all possible. View the full festival schedule. Learn more about the poets participating in the festival.